6 Steps to Write. Life. Blend. We’ve all heard the phrase – “Work Life Balance” – in fact, I’m pretty sure my partner’s corporation still contains that phrase as an organisational motto. But maybe the balance part of this term needs changing – to blend. The same concept is possible with writing, which is, of course, work – and hard brain-numbing work at that. It can be applied to anything we have passion for. Johnathan Fields, creativity guru and author of ‘Uncertainty: Turning Fear and Doubt into Fuel for Brilliance’, provided a recent post on the subject. In ‘Work. Life. Blend’ Fields confesses he doesn’t believe in work-life balance, as an introduction to a guest podcast episode by Mitch Joel in an episode of the Good Life Project. 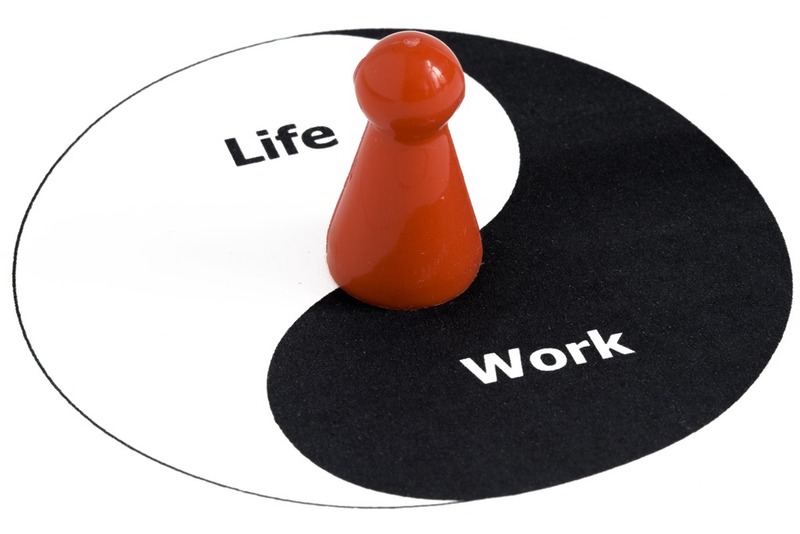 “…work-life “balance” works on an assumption I fundamentally disagree with. That work is and should be something outside life. That you work not out of a sense of joy, meaning, purpose, contribution, flow, drive, love and passion. Not within a culture populated by people you love, who are deeply connected by shared values, ideas, visions and energies. But because your work gives you the money to spend the few remaining hours of your “real” life, you know, the one outside work, finally pursuing those all those same things. Often unsuccessfully”. Johanathan Fields isn’t the first to approach the concept of blend between work and life. 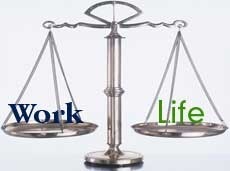 In a Forbes article of October 2012 Ron Ashkenas tells us to Forget Work-Life Balance: It’s Time for Work-Life Blend. The paradigm shift began at the front of this decade according to the following graphic from RibbonFarm. According to that graphic, we still have some way to go to accept this concept fully, but RibbonFarm, and others like Mitch Joel, suggest this blend is happening because of our technological advancements. Leg Number One: Family and friends. Without a focus on your family, extended family and friends, you will never have the support you truly need to be successful. Leg Number Two: Profession. Whether it is the job you’re doing to pay the rent or the work that you were meant to do, having a profession that makes you satisfied – in however you define your satisfaction – is critical. Leg Number Three: Community. Locally, nationally and internationally. You must be an active contributor to both your community and your industry. Without a strong community, there will be nothing to support the infrastructure of the company that you serve. 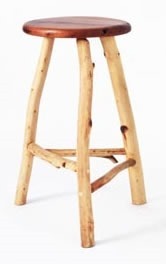 If one of those legs on this three-legged stool is unbalanced or out of check, the stool with topple over. Forget work-life balance and focus on your blend. Ensure that all three legs on this stool are balanced. In short, work is no longer something you do during the day – especially if it’s something you’re passionate about. Work isn’t something that resides outside of life, it is an integral part of it. How many hours a day do you work? 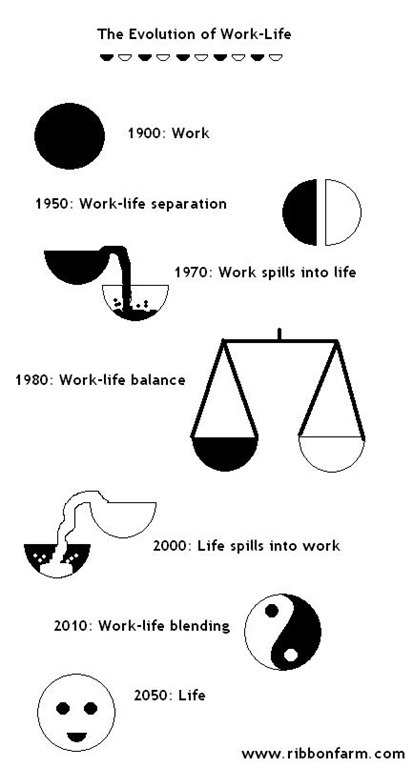 Is it simply predicated on the standard industrial complex of nine-to-five or do you find yourself more and more connected to the work that you do (both physically and technologically)? This three main areas of life approach is similar to something I read earlier in the week – from a writer’s blog. That particular writer had set three main goal areas for the year – a job, writing, and health (I think). She knew that she could only give the most energy to three main areas without something falling. However her blog post stated that because of some health issues taking all her attention over the past few months, she was re-assessing those areas, and her job and writing legs would change accordingly. As it’s half way through the year, now’s a good time to reassess those big yearly goals for all of us. It’s something I’ve been doing. Some life gurus suggest more than three areas of life – I’ve read one where eight different areas are listed. Each should have a main goal or dream, and (somehow) be balanced between them. But others suggest humans are only capable of really concentrating on balance between three main areas. Larry S. Cockeral, a marketing guru, suggests these three should be: – Relationship, Health and Financial. But rather than thinking of the juggling act that is balancing different areas of our lives, I can work more easily with the concept of blending areas and goals overall. 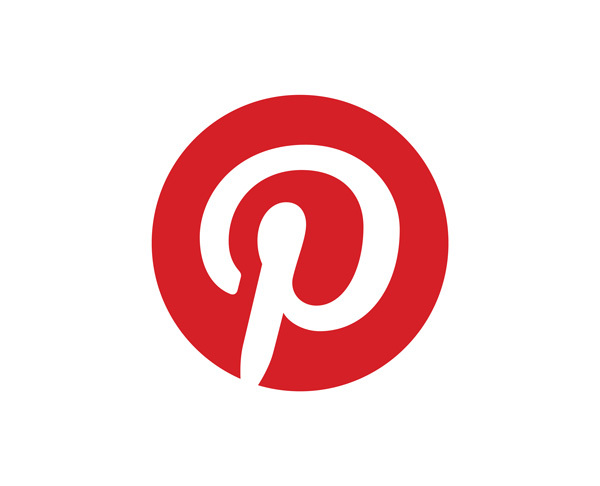 Passion, and the Problem with Balance. The Good Life Project quotes above suggest that people strangulated into working jobs separate from their life may work not out of a sense of joy, love or passion, nor in a culture populated by people who connect to this work; but rather as an income earner for real life outside of work. Most writers I know have two types of work – their “day job” which generally is for income earning, and some time spent on their work passion – of writing. Personally I have the luxury of having only the one – and plenty of time to write within. But a few years ago I wrote “around” a full time and intense corporate day job, so understand the juggling of priorities. I was also a working mother, having gone back to full time work when my daughter was only four months old. I chose to not buy into the guilt of that working mother life-balance thing at the time – but that doesn’t make me less prone to guilt over any “balancing” issues later on in life. In some ways, the “full-time” writing life is as hard as juggling in writing time around eight-ten-or more working hours a day elsewhere. After leaving full time work, I took up some part-time work locally for a while – that’s difficult to manage around also, especially when you’re on-call. 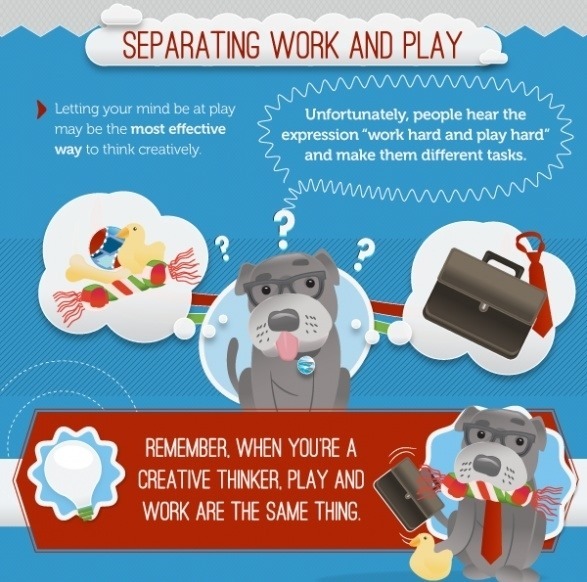 Management of any work and personal time can be an issue. It boils down to discipline. We only have ourselves to fall back onto for prioritising tasks and productivity. We are our own boss. Many writers also have some interesting habits or personality needs which mean we spend long hours alone with our writing and thoughts. (For example, as an introvert and INFJ on the Myer-Briggs typology I share with many writers the need to hobbit away from people for most of my creative writing tasks). There is also a very tentative break between our everyday domestic life – in the house all around us – and our writing life to be negotiated around. Many of us are of the era where once you shut the front door, you were in your home (or real) life, with work outside of this, and needing to be balanced. If work ever dared to make it into the family home it was an” intruder”. That is still a belief to this day, but one that is slowly breaking down. Especially with Gen Y’s, it seems. Thinking of those different areas of life, even on an average day, I really believed in trying to balance them – feeling guilty when it became unbalanced from one side. Normally, and this can apply to any long-term partnership where at least one adult member works outside the house most of the time, the relationship side of things could become unbalanced as we rushed to our family’s needs or other commitments. Sometimes, when I’m on a writing roll, and don’t wish to lose the ‘flow’, the domestic side of life goes wanting or unbalanced. And the guilt sets in. Are you ready to embrace a work-life-blend in your writing life? Click to Tweet. 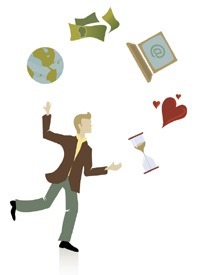 Gen Y understand the need for a work-life-blend. You can too, as a writer. Click to Tweet. 6 Easy steps to a Write-Life-Blend, not UNbalance. Click to Tweet. On the next page, I’ll take a look at the concept of blend specifically for writers, with 6 Steps to a Write-Life-Blend.